Create a campaign to launch of a new black foil fire insulation material. 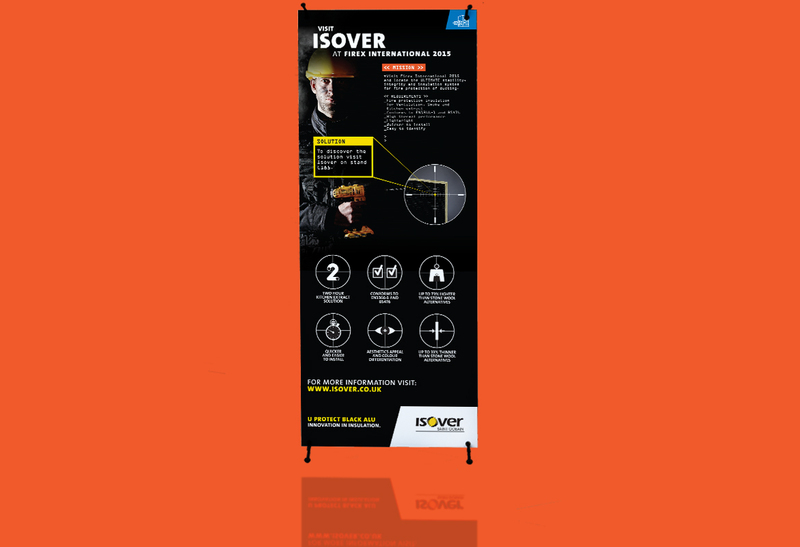 Targets: Specifiers of fire insulation materials for commercial extraction systems. 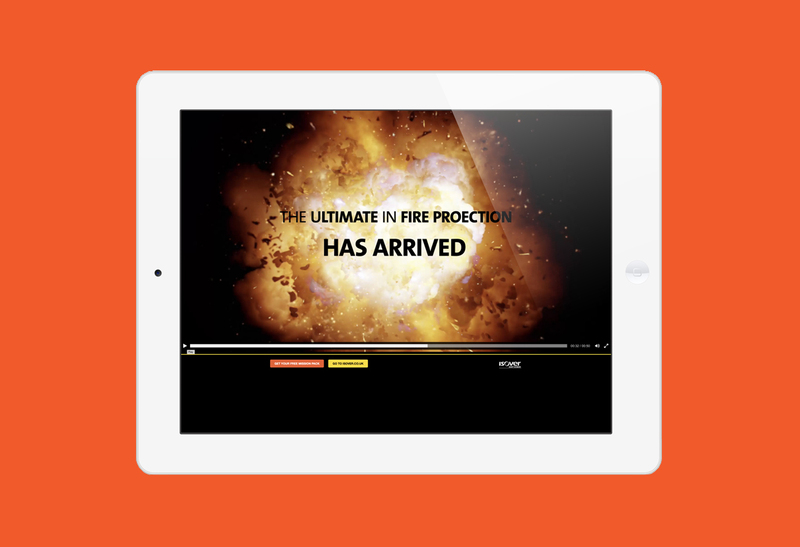 Objective: Create awareness of a brand new product that provides the ultimate fire protection of it's type in the UK. During our briefing we were informed the black foil insulation materials was uniquely black apposed to the competitors being silvers and this black coating produced the ultimate fire insulation protection on the market in the UK. 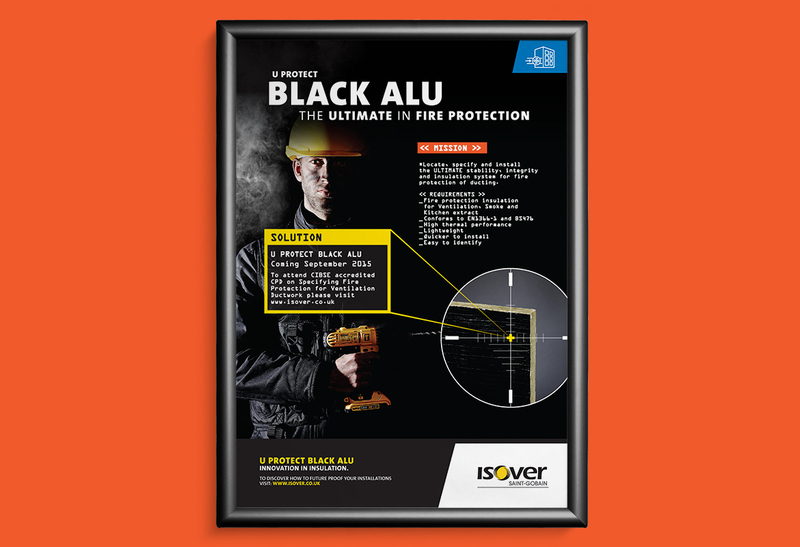 Fire insulation isn't the sexiest of subject, but we decided we should build the campaign story around the product's unique black foil appearance and ultimate protection qualities. 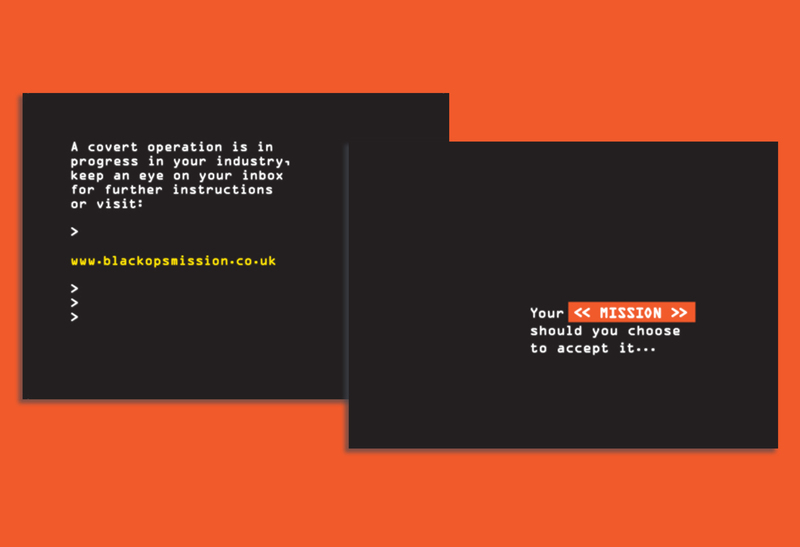 Combining black and ultimate protection we developed a campaign around the theme of 'Black Ops' (SAS). The campaign needed to educate specifiers there was a new and improved material in the market, create sufficient interest for them to consider change and invite engagement. To do the we create the Black Ops Technician. 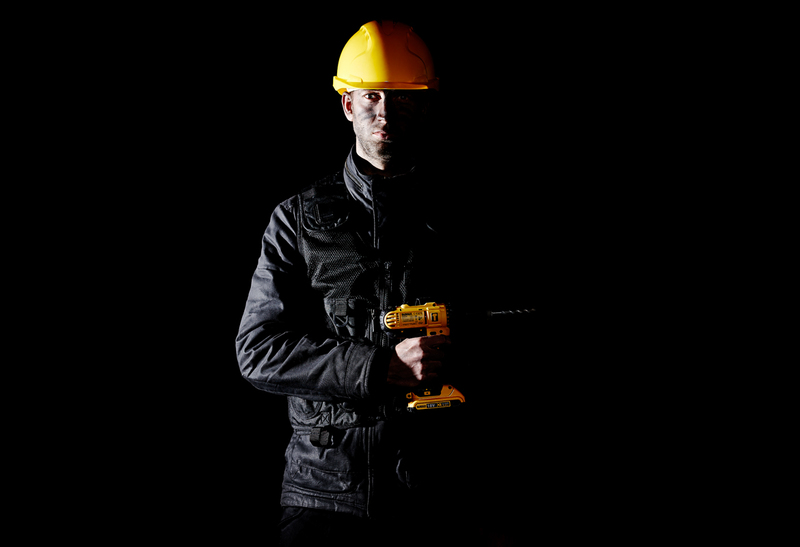 We undertook a set of dark, moody photoshoot of a technician in the pose of an SAS black operative, replacing the Black Ops automatic, arms belt and helmet with a power drill, tools belt and hard hat! 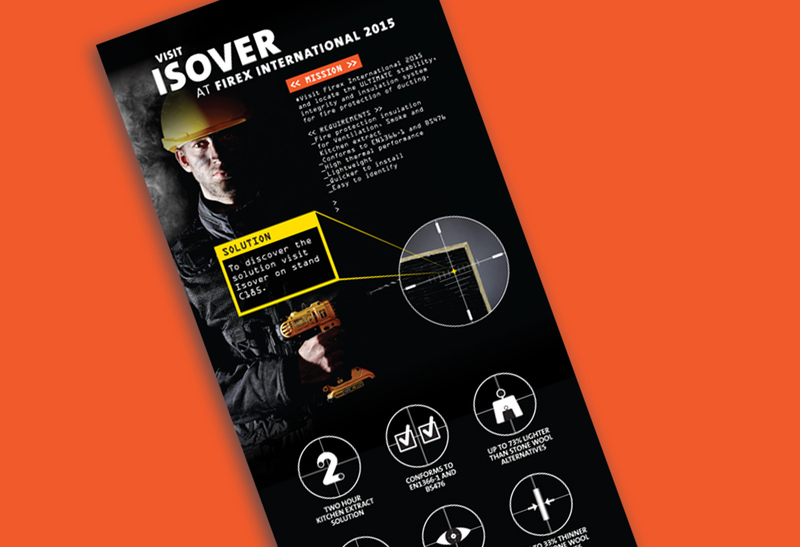 These images, combined with various Mission Impossible inspired references invited targets to take the challenge and find out more about the ultimate in fire protection... should you decide to accept. 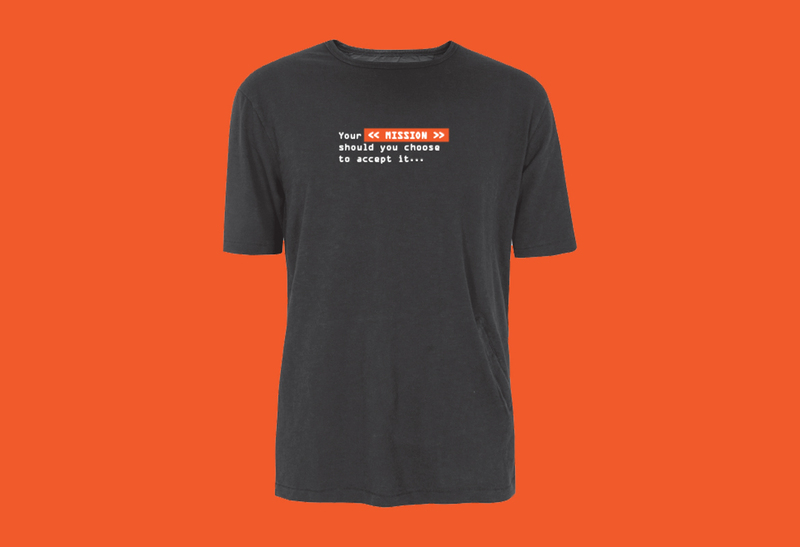 We purchased the domain www.blackopsmission.co.uk where we hosted a series of pre launch and launch micro sites pages. We then obtained contact details of known/potential targets and created a teaser direct mail campaign consisting of a black envelope sent to named recipients which contained an unbranded black t-shirts printed with 'Your Mission Should You Choose To Accept It' on the chest and accompanied by a black cards inviting them to collect their mission details at 'www.blackopsmission.co.uk' When they visited the teaser page with a mission count down and invited to log in using their secret agent number on the card to register their interest to receive a 'mission pack' which contained a number of Black Op freebies along with their mission details and watch out for further mission details. Anybody who didn't register on receipt of the direct mailer received 1 of 3 teaser e-shots, spaced 3 days apart giving them further opportunities to register. 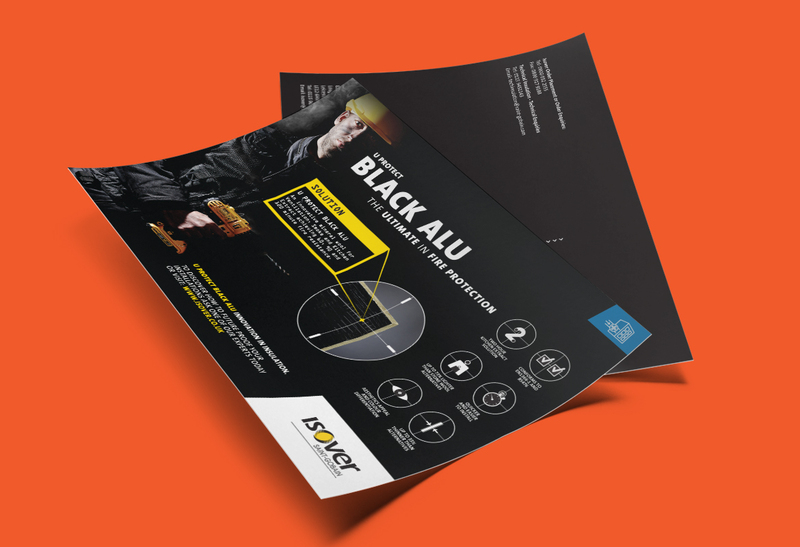 On mission launch day everybody received a final e-shot with a link to the launch animation video we'd created which introduced the benefits of black foils Ultimate Protection qualities with calls to action to arrange a visits or a phone call to find out more. The black foil launch coincided with trade advertising and exhibition stand with on stand 'mission' envelope containing product literature and a lead generating prize draw to enter a free prize draw to to win the latest Apple Watch (in black of course!). The pre-launch campaign resulted in a 68% response rate, with the post-launch activities gathering further leads. We believe every challenge can be achieved through positive, creative intelligence and effort. To achieve this we challenge the ‘what’ and ‘why’ and then set to achieve the ‘how’ and ‘when’. 30+ years of experience and knowhow helps! Give us a call and share your what and why, we’ll deal with the how and when.